When you’ve found the perfect new 2018 Mercedes-Benz for your needs and desires, like the 2018 Mercedes-Benz E-Class, be sure to contact Mercedes-Benz of St. Charles below, and we’ll get back to you shortly! We want to be sure that you’re getting the best car for the best price, and that’s why we offer new Mercedes-Benz specials and specials on pre-owned Mercedes-Benz cars near South Elgin, IL. And with the dedicated technicians at our service center near Aurora, IL, you don’t have to go anywhere else for your vehicle’s needs. If you are looking for Mercedes-Benz parts, you can visit our Parts Center, as well. We are here to make sure you have the best experience possible in your Mercedes-Benz vehicle. 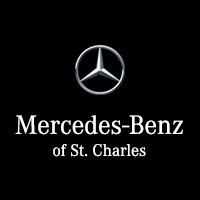 Contact Mercedes-Benz of St. Charles today!